This programme is designed to mould the minds of the future and inspire the youth who will lead South Africa into a new era of sustainability and success. Junior Achievement South Africa’s flagship Enterprise Programme has been designed for learners in Grades 10 and 11 with their needs, lives and dreams in mind. Learners will be taught what is needed to establish and manage a small business, develop an understanding of how a business functions and models of entrepreneurship. They will be challenged. They will grow. They will be inspired. Our goal is to empower young people to believe in themselves and give them the skills they need to take a dream and turn it into a functioning business. In three months we will transform an ambitious teen into a successful entrepreneur. Driven, dedicated, interested in business, creative, enthusiastic and a team player. One of the most wonderful things about the Enterprise Programme is how it has changed lives. For close on four decades we have given learners who didn’t believe they could be entrepreneurs the confidence to stand up and take the world by storm. Work with finances and understand shares, profits and losses. 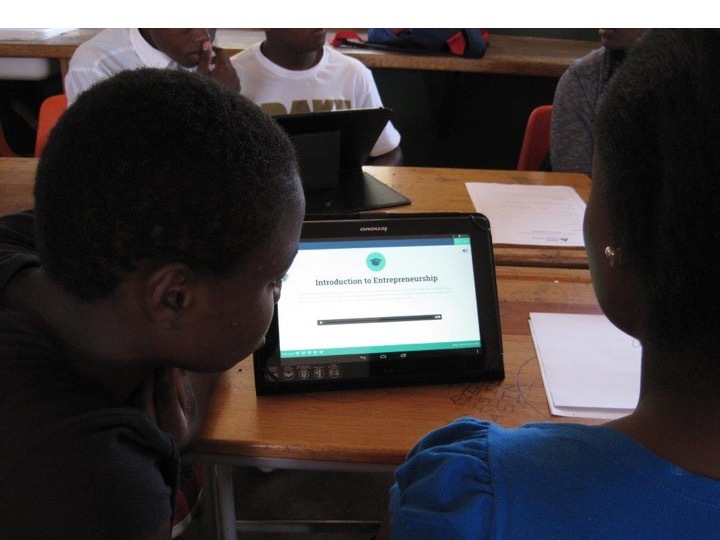 Learners from seven schools were the first to engage with the Digital Enterprise Programme during the pilot at end 2014. Feedback and observations were instrumental in creating a digital version that is not reliant on internet connection.